Welcome back from Miss McMahon’s sixth class. We hope you had a great Summer. There’s been some changes to our school. 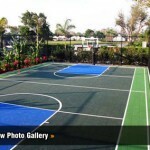 We now have a tennis court and two basketball courts. Also the yard has been tarmacked and has been increased in size. We hope you support us on getting our fourth Green Schools flag and follow our blog. Thank you.